The specialty of San Juan Puerto Rico is its appeal to tourists of different genres - a traveler who is drawn towards places crammed with century’s old history and culture or one who can sense the melody in nature, the mountains, rivers, waterfalls and the greenery. In San Juan Puerto Rico, you will find variety of places where you can spend your vacation time to the fullest - miles of sandy beaches, restaurants that serve authentic Puerto Rican cuisine, shopping centers, theatres, bars and discotheques. There are also a number of natural adventures including underground caves ready for tourist exploration. Also, the coffee beans of San Juan Puerto Rico are most sought by coffee connoisseurs around the world. Coffee lovers would not want to let go a chance to treat themselves to the wonderful taste and aroma of San Juan Puerto Rican coffee. Here is a guide to plan your San Juan Puerto Rico itinerary. 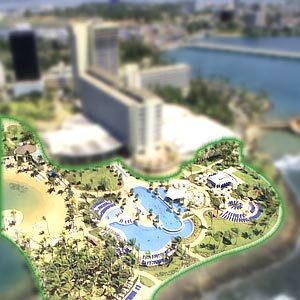 Read through the different places in San Juan, Puerto Rico that are most frequented by tourists. Puerto Rico is a tropical island. San Juan is the capital city and the largest city of Puerto Rico. San Juan on the Atlantic Ocean is 1,000 miles southeast of Florida. For centuries, the aboriginal people inhabited Puerto Rico. Post Spanish-American War, Puerto Rico became part of US. In 1917, the Puerto Ricans were granted US citizenship. San Juan enjoys the elite status of being the oldest city in US territory. San Juan is the heart of Puerto Rico’s tourism industry. Besides the natural wonders like rain forest, deserts, beaches, caves, oceans and rivers the splendid history and culture play a pivotal role in attracting tourists. A visit to San Juan Puerto Rico promises a walk back in time. Tourists get to taste a mixture of old world charm with new attractions. The island has a number of beautiful places of interest as well things-to indulge in, thus ensuring every tourists’ visit becomes enjoyable and memorable. US citizens are free to travel in and out of San Juan Puerto Rico. For citizens of other countries, the formalities are the same as it would be to visit USA. By Air: From New York, it takes 3 ½ hours and from Miami it takes 1 ½ hour flight to San Juan, Puerto Rico. From the US, American Airlines, Delta, US Airways, Continental, Northwest, Spirit Air and United Airlines serve the Luiz Munoz Marin International Airport. The Airport is 9 miles away from the main city. Almost all the popular international airlines operate flights to San Juan. The list includes Pan Am, Delta Airlines, Air Canada Vacations, Canadian Airlines, British Airways, Lufthansa’s partner condor and Copa Airlines. By Train: San Juan is well connected by train. Tren Urbano, Puerto Rico’s urban train covers 10.7 miles with 16 stations, which includes parts of San Juan and its suburbs. By Road: Road travel options include taxi, tour bus, rental car, metrobus or a público. For those who wish to save time and prefer travelling with family, the best option would be to hire taxis right at the airport or rent a car. There are two options with respect to taxi service. One may choose the ordinary taxi that caters to areas of specific routes or avail the services of taxis turisticos. The taxis turisticos are painted white with a logo. The operators are specialist with knowledge of tourist areas and charge depending on Zones covered. By Sea: The Port of San Juan is 8 miles from the San Juan International Airport. It is the largest, busiest natural harbor in the Caribbean. There is no shortage of cruises. At a given point of time, as many as 10 cruise ships dock at the port. The tropical island promises fun and frolic all round the year. San Juan being one of the many Caribbean sports destination, more number of tourists in the form of spectators visit San Juan every year. It is peak season time between December and April. It rains a lot in September. If you wish to avoid the crowds, the low season between May and November is ideal. Most of the forts are in old San Juan. The place is crowded with buildings from the 16th to 19th Century. Walking down the narrow lanes, cobblestones road is almost like living in the past. Taking a retreat into San Juan’s history would reveal the truth behind fortification of old San Juan. The harbor of San Juan is the largest and busiest in the Caribbean. In earlier times, the struggle for foreign power often resulted in attacks. The forts served as a protection and a defensive wall that offered protection to the locals from outsiders. San Juan is hence aptly referred as ‘La Ciudad Amurallada’ or the walled city. El Castillo San Felipe del Morro: In 1983, El Castillo San Felipe del Morro was selected to be included in the World Heritage Site by the United Nations. The fort is 400 years old. In olden days, the fort served to be a primary fortification that kept the seaborne enemies out of San Juan. The fort was actively used during World War I and II. El Castillo de San Cristóbal: In the year 1983, El Castillo de San Cristobal was selected to be included in the World Heritage Site by the United Nations. The Devil's Guerite is the oldest part of El Castillo de San Cristobal fort which was built in 1634. The massive fort is 150 feet above the sea and covers 27 acres. The purpose was to protect the Spaniards from enemies’ land based attacks. Palacio de Santa Catalina: In 1983, Palacio de Santa Catalina was selected to be included in the World Heritage Site by the United Nations. Built between 1533 and 1540, the 40 room Palacio de Santa Catalina was used to defend San Juan from its foreign invaders. Today Palacio de Santa Catalina serves as the official residence of the Governor of Puerto rico. El Cathedral de San Juan Bautista: El Cathedral de San Juan Bautista is a classic example of medieval architecture. The most striking fact of the cathedral is its authentic simplicity. The cathedral was originally built in 1520. Natural disasters in the form of hurricanes destroyed the original construction in 1520 and again in 1529. Renovation and repairs was subsequently undertaken and the cathedral was rebuilt in 1540, which was once again wrecked by another hurricane in 1615. Restoration work was carried out in 1917. The body of Spanish explorer Juan Ponce de Leon is placed in a marble tomb inside the cathedral. Religious services are still held in the Cathedral on a regular schedule. Castillo de San Jeronimo: Is a historic site, which served as a fort in the 15th century and defended San Juan from enemy attacks. Iglesia de San Jose: Built in 1523, the 16th century Spanish Gothic structure was granted funds in the year 2004 to undertake structural stabilization and mural conservation work. The church is considered to be the second oldest church in the Western Hemisphere. The island of Puerto Rico has plenty of clean, natural beaches. 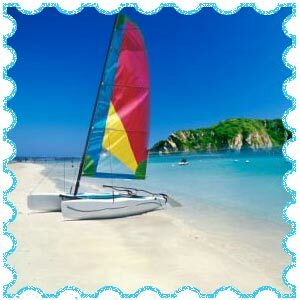 To bask in the best beaches of San Juan Puerto Rico, travel eastwards. Condado and Isla Verde are the most frequented beaches. Luquillo Beach, Boqueron, Ricon, Corcega and Sardinera are the other beaches that are less known and frequented by visiting tourists. Spending the early hours of the mornings in the beaches is an experience by itself. It is a common sight to see beach visitors engaging in water sports such as parasailing, surfing, fishing, snorkeling, horse riding, swimming and jet skiing. Bodyboards and sun baking chairs are available for rent. Nightlife around the beach areas especially during the weekends is equally enjoyable. Camuy is a town, which is 63.1 miles from San Juan Puerto Rico. Camuy is also known, as “La Ciudad Romantica” and “La Ciudad del Soltaino”. Rio Camuy Cave Park in Camuy town is the third-largest cave system in the world. The process that created the caves began almost 160 million years ago. Though the park is spread over 268 acres, only the large three cater-like sinkholes and two caves are open for public viewing. The special attraction besides the 16 large caverns include open-air trolley rides, walking across the ramps and bridges, sighting unique fish species - Alaweckelia gurneei that are totally blind. Clara de Empalme is a massive cave, which measures 180 feet high. The stalactites and stalagmites are believed to grow at an average rate of about one inch every 300 years. 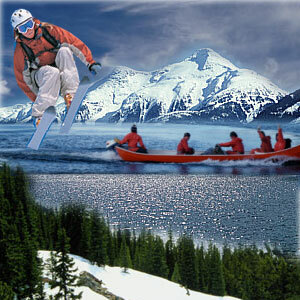 Check out for details pertaining to special adventurous and strenuous trips. 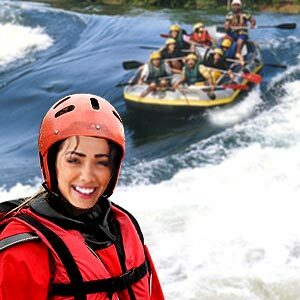 These trips are recommended only for people who enjoy good physical health. Remember to make prior reservations. Per day entry to the cave is limited, a measure to preserve the eco system. Bacardi Rum factory: Make a visit to Bacardi Rum factory to understand the nuances of rum making. Museum of the University of Puerto Rico: In display are the pre-Columbian articrafts along with works by today’s painters. El Yunque Rainforest: Hike all the way; explore the tropical wonders. Cool your eyes seeing orchids, giant ferns, wild flowers, tropical hardwoods and spectacular waterfalls while the tropical birds such as the Puerto Rican Parrot fly right overhead. Luis Muñoz Marín Park: Swings, jungle gyms and slides amidst several small lakes attract kids and adults equally. Roaring nightlife: Chill out in clubs, pubs, casinos, discos, lounges or the live entertainment outlets until the broad daylight. Try creative martinis, or just grab a drink. Don’t miss to dance the night to salsa music. Watch a baseball game: Go to San Juan’s Hiram Bithorn stadium and watch a Puerto-Rican-style baseball game. Go shopping: Buy quality gold, silver jewelry, precious and semi-precious stones; watches and swarovski crystal at great discount prices. Look for straw work, ceramics, hammocks, paintings and sculptures by Puerto Rican artists. Eat criollo food: Taste the pride of San Juan. The cocina criolla food is a blend of African, Spanish and Taino cuisine. Treat yourself to a unique fruit treat like a tamarind Popsicle and a great other varieties of exotic sweet/salty/sour flavors. First Published Date: 11 Apr 2008 Last modified Date: April 25 2019 This page may have been updated recently as new information is available or the content may have been edited for better readability.